We used data and science to determine the places in Alaska where everyone sleeps safe and sound. Editor's Note: This article has been update for 2019. This is our fifth time rankings the safest places to live in Alaska. For a lot of people who live in the fine state of Alaska, safety isn't a problem, but we don't all get to live in the safest cities -- unless of course you live in Cordova. The purpose of this post is to determine where the safest cities to live are in the Last Frontier. Those places where crime is usually something you hear about on Facebook, but not from your local paper. In all, we analyzed 24 cities in Alaska with a population of more than 2,000 using the latest FBI crime data. So what's the safest place to live in Alaska for 2019? According to the most recent FBI UCR data, Cordova ranks as the safest place to live on a violent crime and property crime rate basis. While there are surveys and public polls on what cities in a state are the safest, we didn't want to rely on speculation and opinion. Instead, we looked at the hard numbers from the FBI's most recent report of crime (Sept 2018) in Alaska. For example, there were a total of 29 crimes committed in Cordova which had a reported population of 2,199. That means the number of crimes per capita is 0.0132 which translates into a 1 in 75 chance of being the victim of a crime. We only looked at cities that have populations of more than 2,000 people reported to the FBI in 2017. This left us with a total of 24 of the biggest cities in Alaska to rank. Next, we averaged each places two criteria to create a Safety Index. We crowned the place with the lowest overall Safety Score "The Safest Place In Alaska". The safest city, based on our criteria, is Cordova. 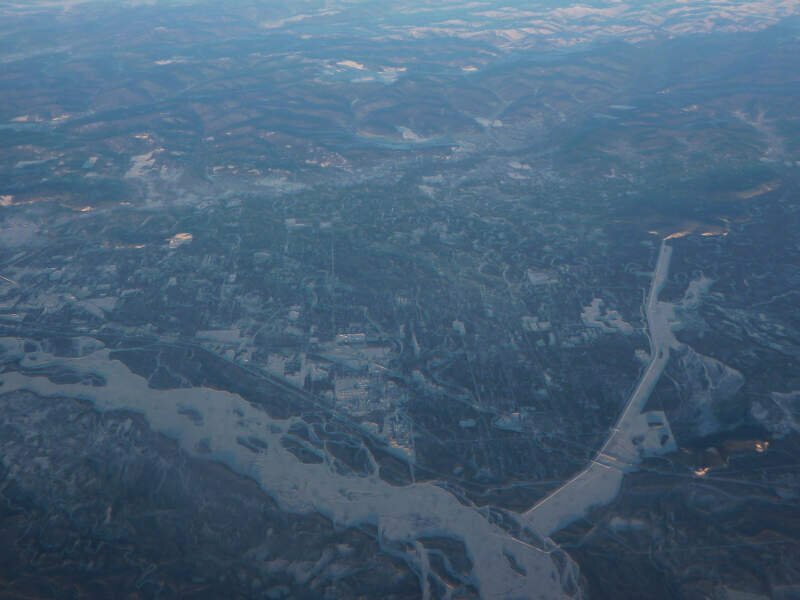 The most dangerous city in Alaska? Kotzebue, where residents had a 1 in 10 chance of being the victim of a crime. Welcome to Cordova, our number one safest city in Alaska. It's so safe in this little village at the head of the Orca Inlet, that the wolves, coyotes, and bears are always howling and growling at the residents reminding them to get home before dark. Thanks furry friends! 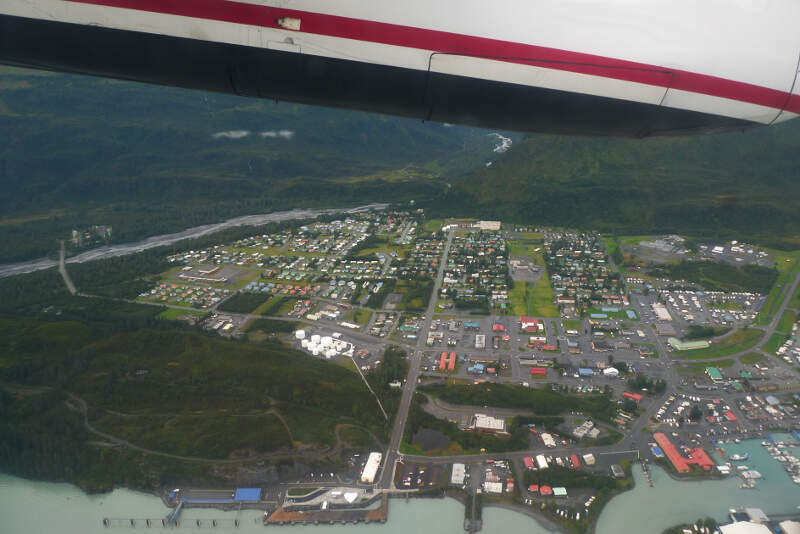 With a little over 2,000 residents, the superb quality of life in this little village in the Chugcah National Forest, formerly known as the "Razor Capital of the World, and currently known as "The Crossroads of Alaska," is the reason that it is our number one Safest City in Alaska 2019. Where the Alaska Panhandle meets the Chilkat Inlet near Glacier Bay National Park and Preserve is Haines. 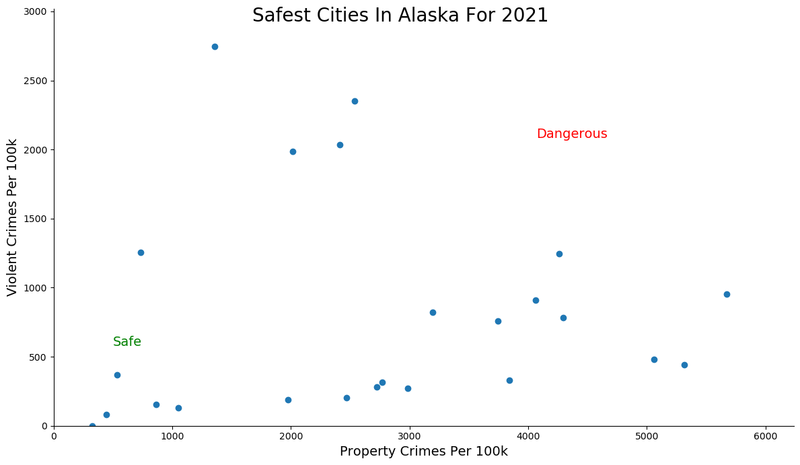 This town, where the only crimes being committed might be a flannel or carhart fashion faux pas, is our second Safest City in Alaska. Haines is also known for its safe, family friendly atmosphere. There is a ton of stuff to do in this little town with only 2,472 residents in the middle of The Adventure Capital of Alaska. They have a bald eagle festival in the Fall, they have the longest running beer festival; and for the adventurous type, you can raft the Chilkat River or hike the Takshanuk Mountains when frostbite is not an issue. Unalaska is the ideal destination when you're trying find that true rugged frontier feel with small city vibes. We're not sure if it's where the polar bears roam, but but we do know that it's safe enough to let your children roam. And this is definitely one of the reasons it's hanging strong as our third safest city in The Last Frontier. There's a true sense of community in this quaint village in the Aleutian Islands. The residents, here, look out for each other. 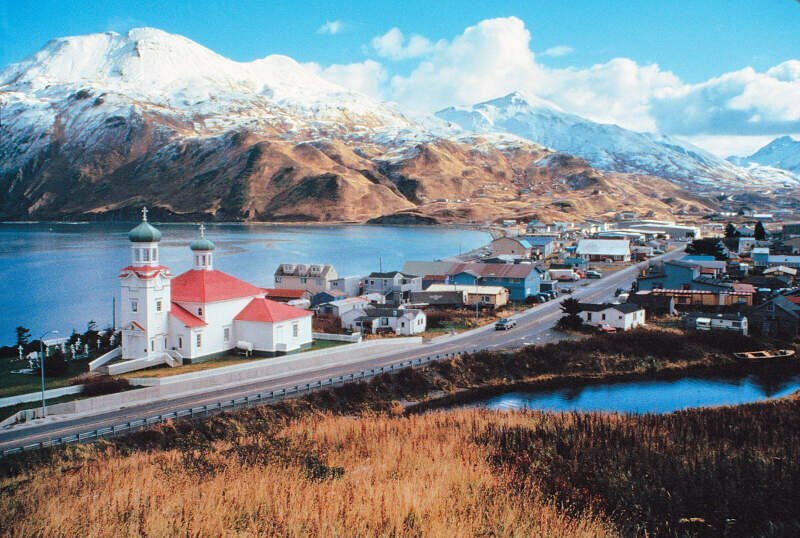 Unalaska's gold star qualities like the non-existent number of crimes, their large number of educated residents, and just their overall safety standards, speaks volumes. Yes, Unalaska, you truly offer a better life. Flip on your snowmobile hazards, slap a fluorescent orange safety jacket on that gigantic grizzly bear, and call Sitka, Alaska safe: our fourth safest city to be exact. It might not be Juneau, but this little town with a vibrant downtown scene, unforgettable summer festivals, and year-round fun is just as notable and just as safe. Probably why it's one of the most populous towns on Baranof Island. This little piece of heaven in the 907 is another one of our family friendly, safe cities nestled inside the Alaskan Panhandle. It boasts convenient restaurants and stores and an occasional ice fishing competition or two. It's a great place to raise a family. And word on the street is that young professionals are starting to take notice and move Sitka's direction to be a part of the strongest seafood industry in the USA. So don't wait, cuz the word is out. And if you love winter, you can get snow here as early as July. To safely maneuver Sitka's wild frontier, make sure you get the best snow tires, winter boots, and fleece jacket, cuz you're gonna need 'em. 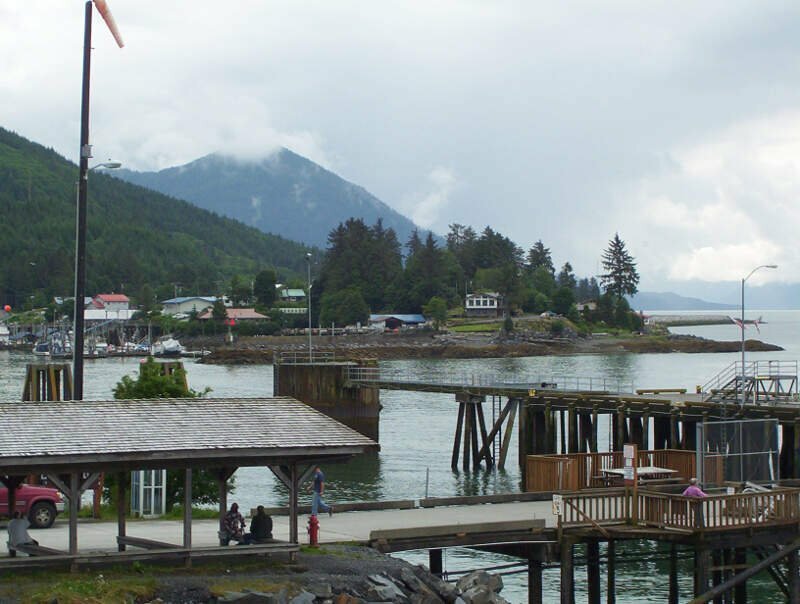 Wrangell, located on the northern tip of Wrangell Island, is our fifth safest city in Alaska. This little city in the middle of nowhere, Alaskan frontier, is super family friendly and virtually crime free. Wrangell's overall HomeSnacks snackability score was an 8/10! Not surprising, considering their safety rating scored a 7/10 and percentage of educated residents scored 7/10. Busy people = less naughty people. If that doesn't say safe, we don't know what does. 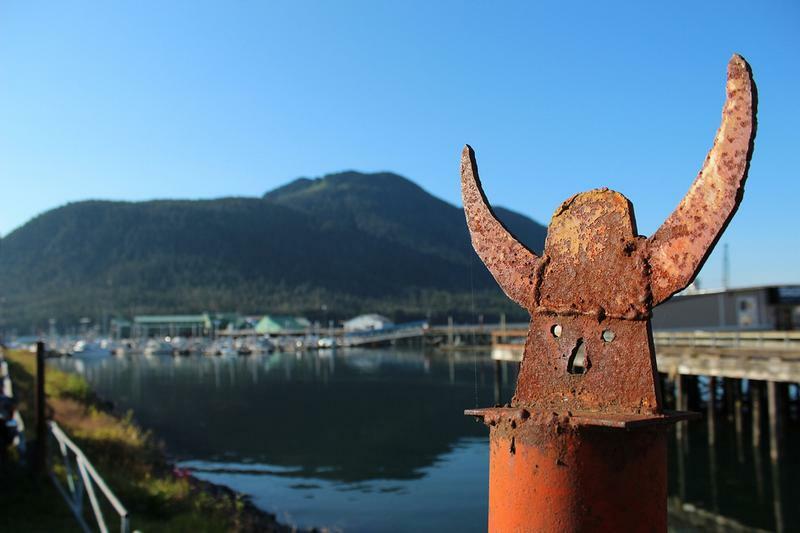 Wrangell's city motto should be "Where you want to be." The people in this corner of the U.S. are super nice, hardworking, individuals that strive to create a better corner of the world for its residents. 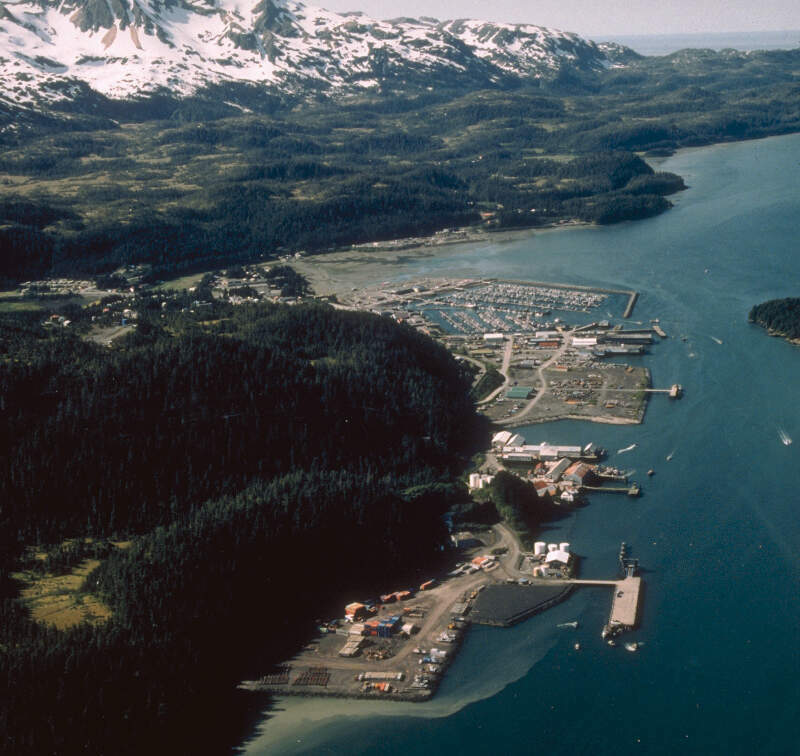 This is probably why they have one of two major sawmills still operating in southeast Alaska to this day, as well as a strong fishing and tourism industry. So grab the fam, pack up the Hummer, pick out an igloo, and get a-movin' so you don't miss out on any of their safe, family friendly, activities scheduled for 2019. 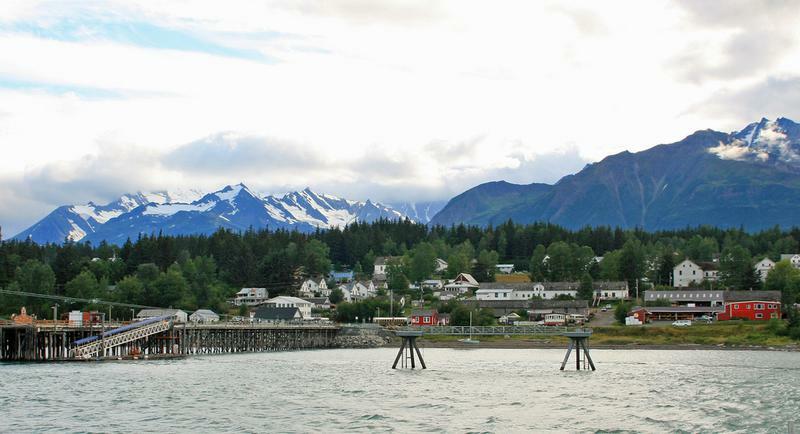 Welcome to our sixth safest city in Alaska: Valdez. 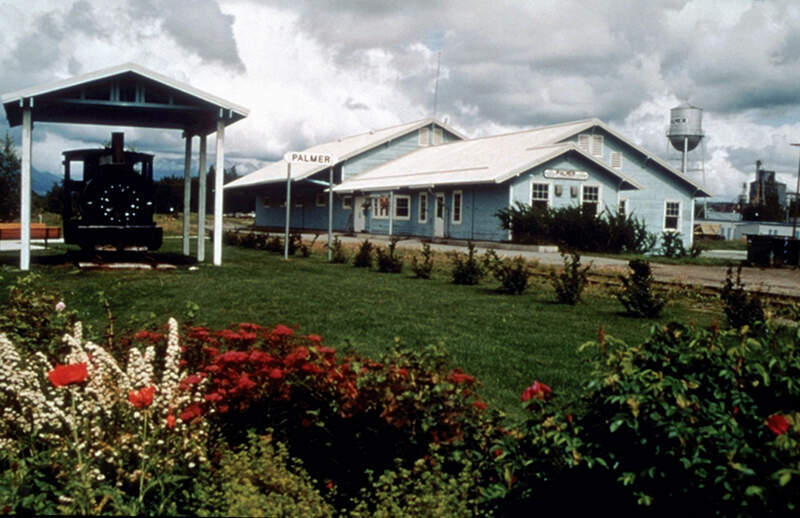 This old gold rush town located in the pan of the Alaskan Panhandle is home to the most important fishing, oil, and freight terminal in Alaska. Hardworking Alaskan roots run deep in this corner of the country. So not surprising they scored an 8/10 for safe, accessible jobs based on our calculations. More importantly, the term SAFE takes on a new meaning in Valdez. It's a family friendly town where the (S)treets (A)re (F)or (E)veryone. The people here are super welcoming and there are a ton of safe, family friendly parks and activities. And if you don't like people peeping through your windows, you don't have to worry cuz there's plenty of room in Valdez. And if you love nature, it can be found as close as your backyard. Really. We're not joking. No tricks, it is one of the safest cities to call home on our list. Ho! Ho! Ho! Our next stop is the North Pole. This small city in the Fairbanks North Star Borough scored an 8./10 on our snackability chart to become our seventh safest city in Alaska. Home to Santa, Mrs. Claus, the elves, and Rudolf, this town that boasts, "Where the Spirit of Christmas Lives Year Round,", is the place to be. There are a sleigh load of things to do and the residents have the money to safely enjoy life. Where do they get their money? Well there's this little thing called the Flint Hill Resources oil refinery and this little thing called the Alaska Permanent Fund Dividend Check. So it's not surprising that the North Pole received an 8/10 job score and an 8.5/10 housing market score. Kudos to Santa's Elves! Whether the residents are busy helping Santa answer all those Christmas letters, working at the Santa Claus House gift shop, or sipping hot cocoa at the local coffee shop, nothin' says safe like a community that creates opportunities to get to know anything and everything about each other. Just make sure you take the trash out in proper attire cuz someone is always watching and you wouldn't want to make Santa's naughty list, right? In Petersburg they love their wide open spaces, their parks, their super safe neighborhoods, and they take pride in keeping their residents safe. This true-to-definition Alaskan city is our eighth safest city. It's a place where work and play meet at our northwest Canadian-American border. Petersburg's small town charm delivers big opportunities to all that are searching for a safe, not scary, place to call home. Heck, they scored off the charts in safety on our snackability scale. The residents in Petersburg look out for each other. It is evident in their gold star qualities like the virtually non-existent number of crimes last year, their large number of educated residents, and just their overall safety standards. Palmer is a little fishing town located slightly northeast of Anchorage on the Matanuska River. Palmer has been holding strong on our top 10 list for the last couple of years. So, it's no surprise that they are our ninth safest city in Alaska. Home to the annual Alaska State Fair, the Talkeetna Mountains, and Hatcher Pass, Palmer is truly "Alaska at Its Best." Palmer also put its best foot forward when they scored an 8/10 affordable housing rating and an 8.5/10 for diversity. Affordable and welcoming! Palmer is one of those snowy towns. They average close to 55" of snow/year. According to their residents, the only dangers lurking in the shadows of this city might be the occasional snowball fight. Keep that snow slingin' to a minimum Palmer, we wouldn't want you to tarnish that strong 5/10 safety rating. Homer rounds out our safest cities in Alaska list coming in at number ten. They crushed our snackability scale with an 8/10 job ranking and an 8.5/10 housing score. What do you expect from "The Halibut Fishing Capital of the World?" When Homer residents aren't busy putting up moose crossing signs or safely bear-proofing their surroundings, they can be found manning their other dominant industries like coal and tourism. 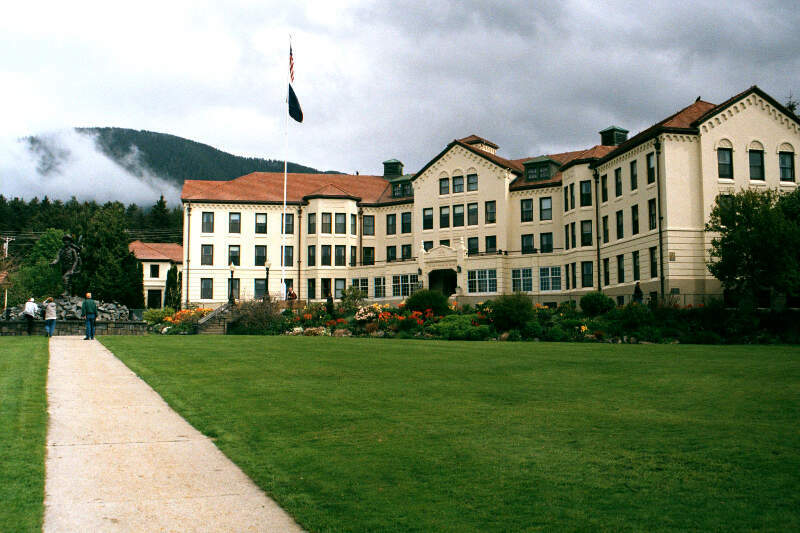 It should be no surprise to Homer's residents that they scored an 8.5/10 education rating. Smart people know that working hard creates a safe, productive environment necessary for a city to survive. And you won't hear 'hold my beer and watch me handle this" in this little city on the Kechemak Bay. They are a safe, family friendly, town with a ton of respect for each other. Heck, crime is pretty much nonexistent in this town of about 6,000. Yep, you heard hear first, folks: Alaskans do get along. Looking at the data, you can tell that Cordova is as safe as they come, according to science and data. But as most Alaska residents would agree, almost every place here has its safe and not safe parts. So just make sure you're informed ahead of time.